BY NELLIE EDGE, NELLIE EDGE RESOURCES, INC.
Comprehensive writing program includes: writing manual and CD plus 250 writing templates. 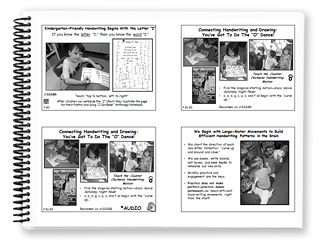 These proven practices from master Northwest teachers dramatically increase writing fluency, stamina, and motivation when used in tandem with any writing workshop model. 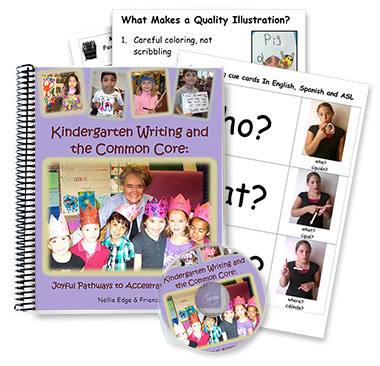 There are over 400 pages of practical strategies that dramatically accelerate early writing skills through the lens of the Common Core Standards. The book features 10 high-impact writing strategies and includes vignettes of authentic literacy events and writing lessons that engage, delight, and motivate young writers to begin crafting narrative, opinion, and information texts. We have been instructed and inspired by the work of Bobbi Fisher, Katie Wood Ray, Eileen Felgus, Lucy Calkins, Darla Wood-Walters, Regie Routman, Julie Lay, and a team of accomplished Oregon kindergarten writing teachers. 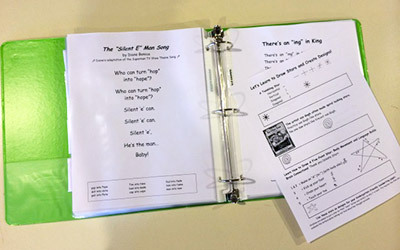 We recommend teachers organize these chapter by chapter, in clear plastic sleeves, stored in two large notebooks for ease of use throughout the year. 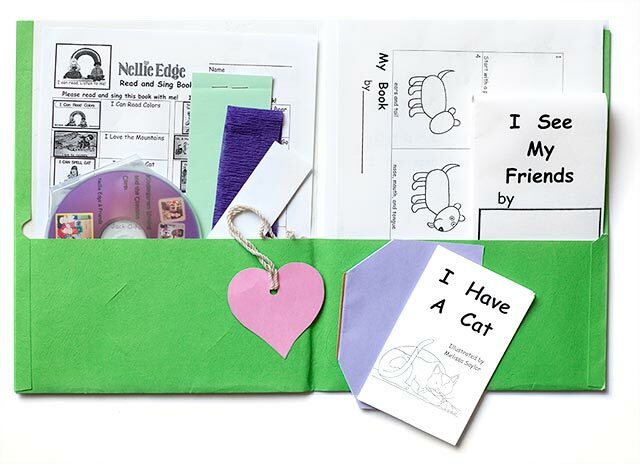 Nellie Edge Kindergarten Writing Workshop is now available as a Power Guide Book and CD: Over 500 beautiful slides, spiral bound into an engaging and highly practical reminder, topic by topic, of Nellie’s entire six-hour writing seminar presentation. This full-color, digital collection is a treasure trove of inspiring and research-based strategies showing children engaged in meaningful and authentic writing experiences. 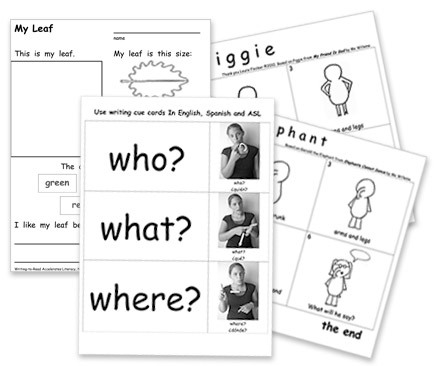 Available for kindergarten teacher-leaders and instructional coaches involved in professional development and expanding the vision for excellent kindergarten writing instruction within their district. The slides correspond to the 10 highest-impact strategies, chapter by chapter, in the complete program, Kindergarten Writing Seminar and the Common Core: Joyful Pathways to Accelerated Literacy, by Nellie Edge, (updated 2015), which includes writing manual, CD, and templates.